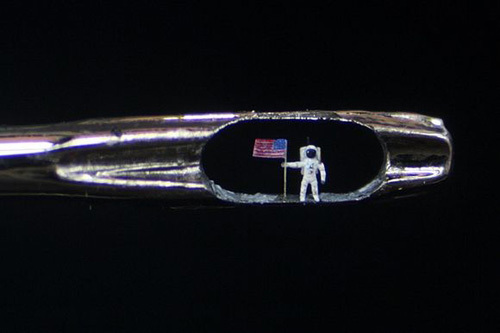 Willard Wigan is a talented artist who creates the most amazing micro sculptures in the eye of a needle, which can only be viewed through microscope. 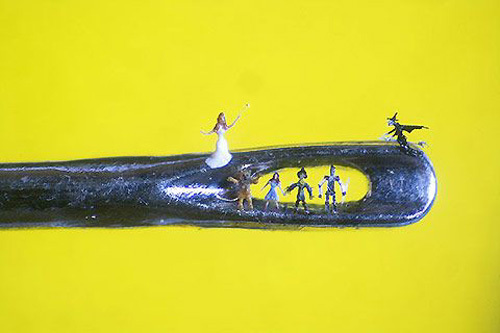 He uses a surgical blade to carve his microscopic figures out of rice, grains of sand and sugar, homemade tools such as a shard of diamond attached to a pin for cutting or the wing of a dead housefly as a paint brush. 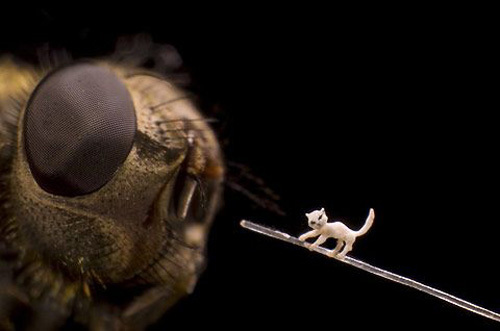 His handmade miniatures are so minute that they are virtually could not be seen by naked eye. 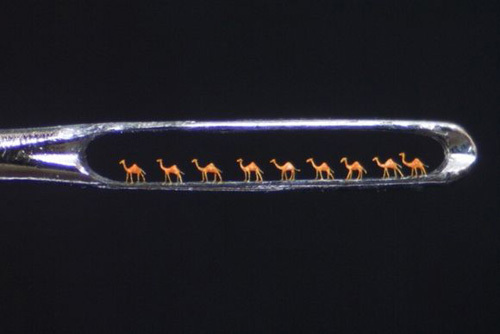 His artwork is referred to as the “Eighth Wonder of the World” for which he was honored by HM. Queen Elizabeth II with an MBE. 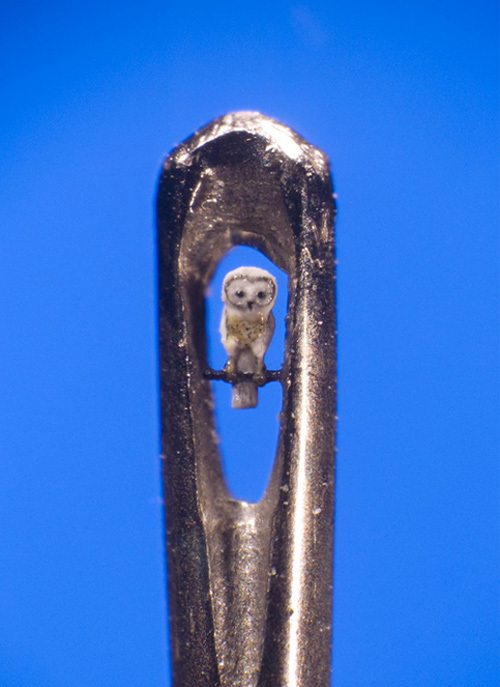 His work is owned by HRH. Prince Charles, Sir Elton John, Sir Philip Green, Lord Bath, Mike Tyson and Simon Cowell to name a few. 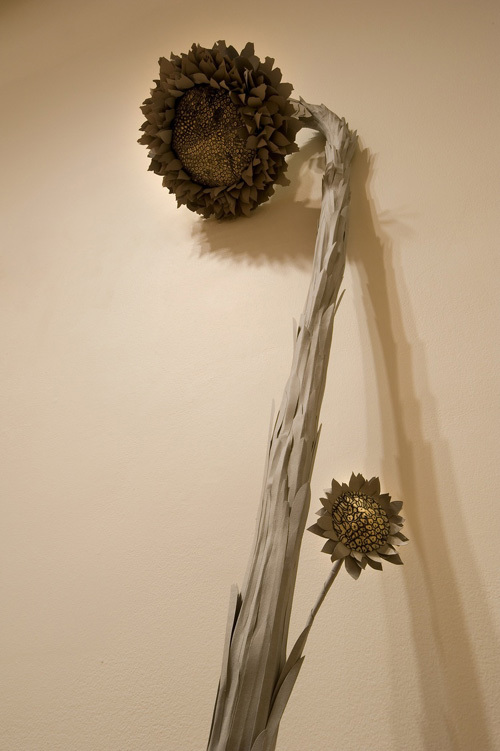 Willard creates this incredible pieces in a meditative state which slows down his heartbeat, reducing hand tremors allowing him to sculpt between pulse beats. He mostly works through the night as the reverberation caused by outside traffic can affect and even destroy Willard’s work. 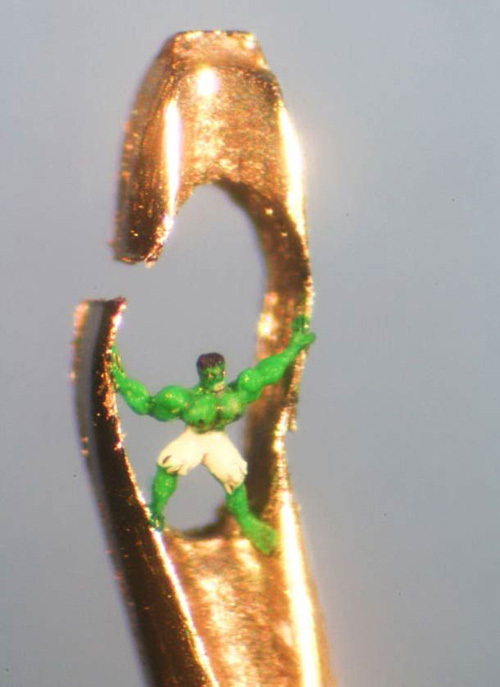 "There are times when I've inhaled my work," he told The Huffington Post. "There are artworks still inside of me." 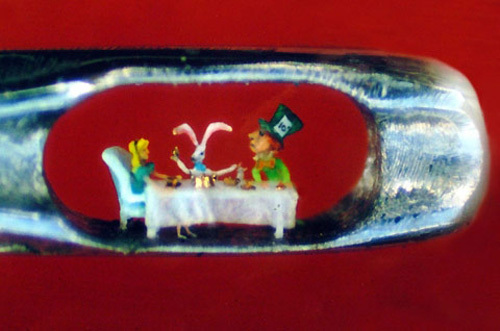 How cute is this idea! 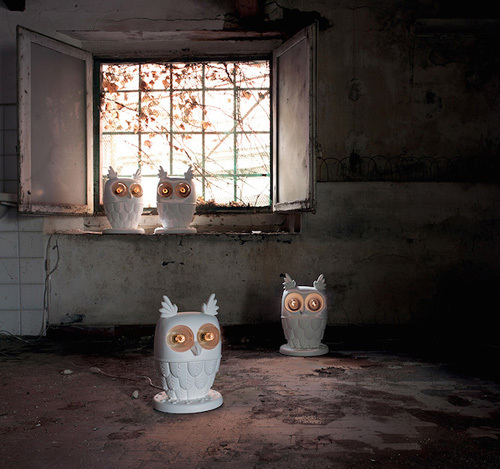 You can make these adorable owl lanterns for any room in the house as well as to use them as decorations for an outdoor party. 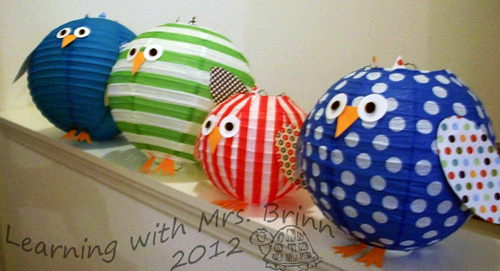 The things that you'll need to make your own family of owl lanterns are assorted lanterns, scrapbook paper, circle punch, black buttons, scissors, stampin up crystal effects and glue dots. 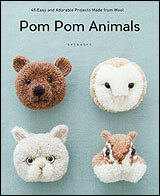 They are simple to make and look so cute! 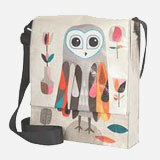 Perfect for a birthday party, baby shower or even to decorate a nursery. Those tiny feet are killing me! 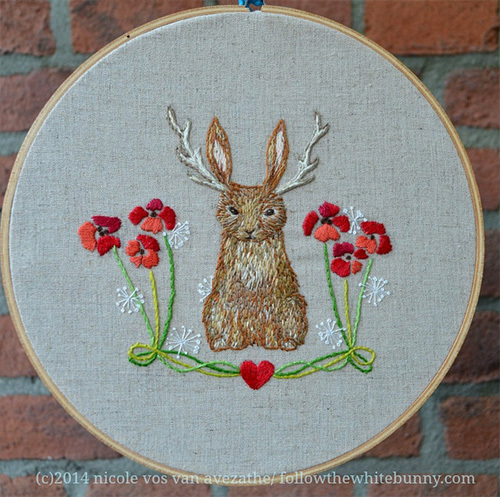 "Follow the White Bunny" is a brain child of Nicole Vos van Avezathe an illustrator and an embroider from Rotterdam, Netherlands. 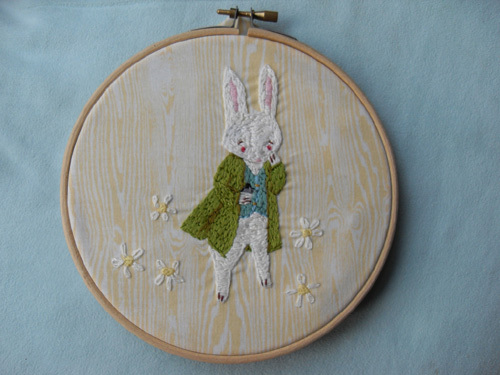 She specializes in designing original hand-embroidery patterns and craft designs. 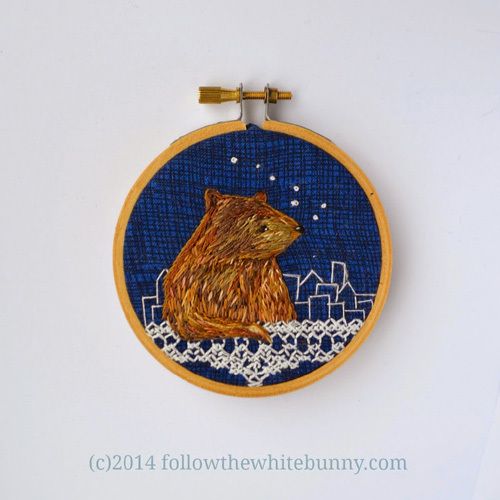 Her work is cheerful, and full of intricate stitches and shading that you probably haven't seen anywhere else. Her work often depicts birds and animals dressed up as human beings wearing scarf and jacket as if they are playing a role in a story. 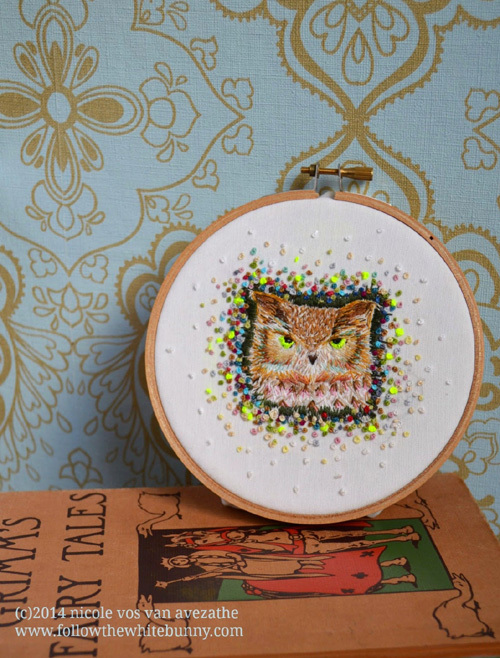 Her embroidery has a very delicate feel, done on a carefully selected fabric either plain or printed which compliments the entire nature of the piece. 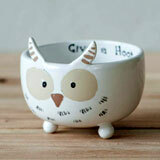 Her work has been featured in Mollie Makes and Homespun magazine. 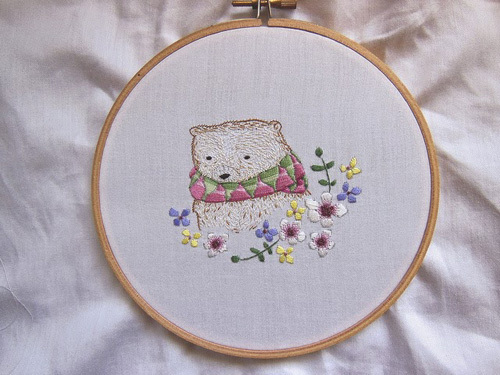 She also conducts online workshops and embroidery classes suitable for beginners as well as advance students, you can find out more details about her upcoming class here. 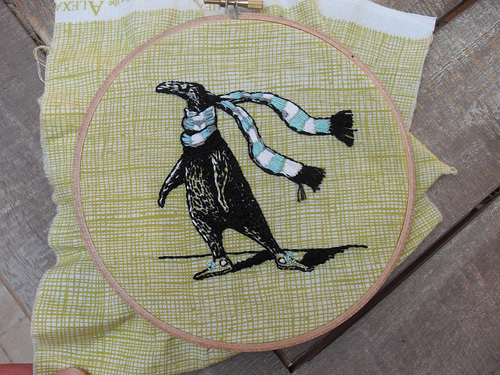 She has shared some free patterns and tutorials on her blog. 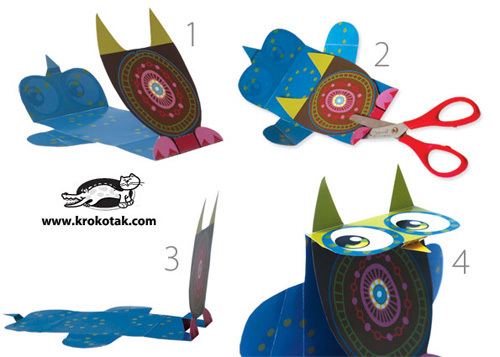 This owl template is a part of the Krokotak’s book “Paper animals cut and fold”. 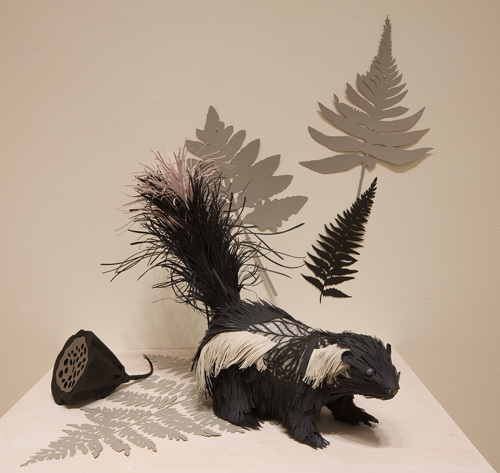 The book contains 12 colored paper animals and 12 black and white animals on perforated sheets that can easily be torn by the kids to decorate. 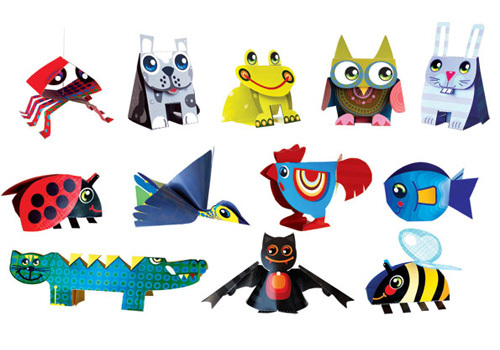 The templates come with a set of instructions following which you can easily make animal shapes without the use of glue. 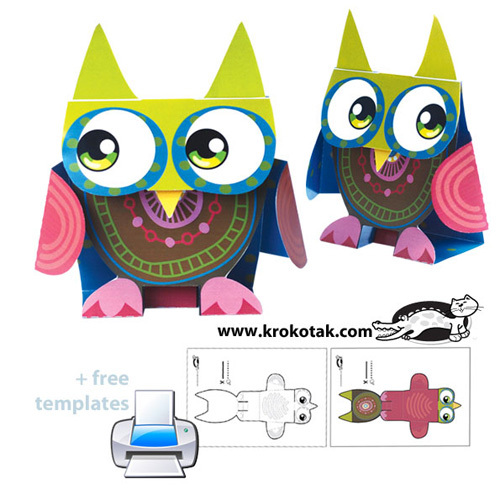 Krokotak have made the owl templates both in color, and black & white, available for free download. 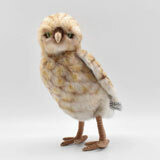 The kids will have fun folding the owls who can later perch on their book shelf or study table. 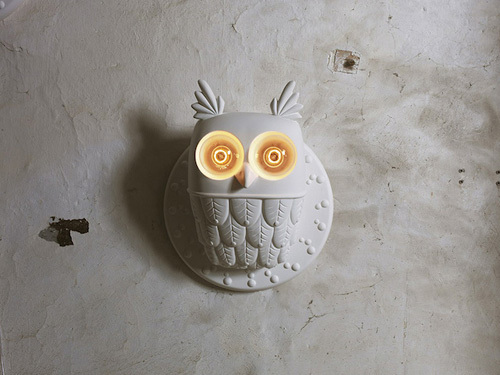 “Ti.Vedo” (means “I see you”, in Italian) is a ceramic lamp shaped to look like an owl. The lamp is a creation of the team of designers Matteo Ugolini, Luca De Bona and Dario De Meo for an Italian brand Karman which specializes in interior lighting. 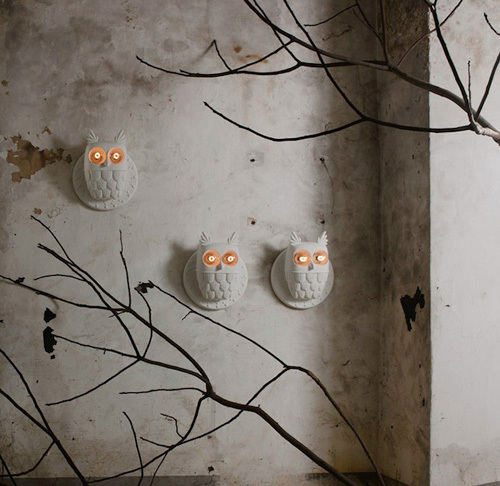 The lamp is made in white ceramic and the two big eyes of the bird are made to closely replicate owl’s eyes staring at you every time you pass by. 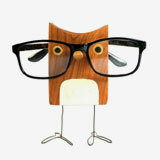 The lamp comes in two styles - as a table lamp and as a wall lamp. 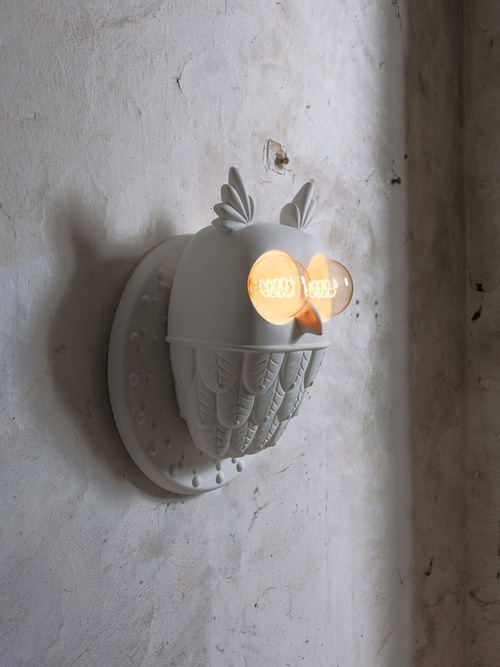 Hanging on a wall the lamp will look like a great piece of art which on being switched on will spread a glow of soft light in the whole room. I absolutely adore the lamp! 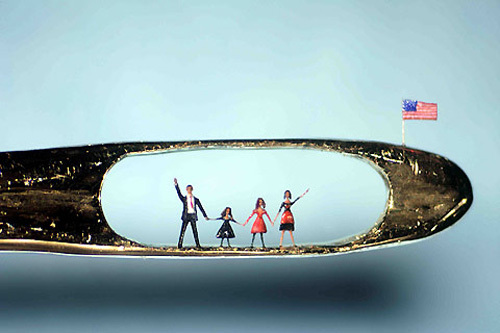 It's a great piece of functional art that one can enjoy for ever! 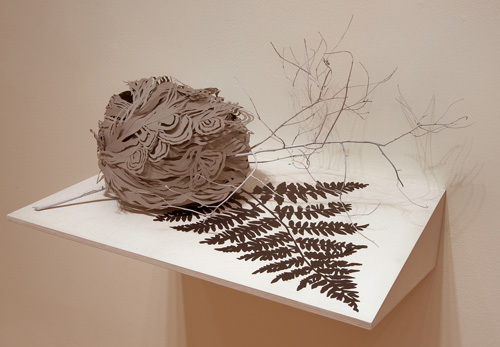 Sculpture Installation: Cut Paper, wax, trace monoprint 18"x24"
Stephanie Garmey is a paper artist who grew up in Rockville, Maryland and continued with her career in the Mid-Atlantic region. 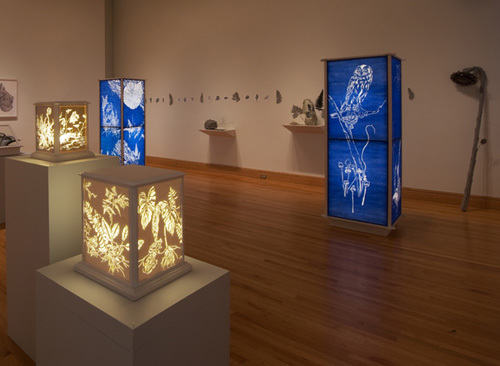 She received her MFA in 1995 from the Hoffberger School of Painting, Maryland Institute College of Art and has a MA in Painting from Purdue University. 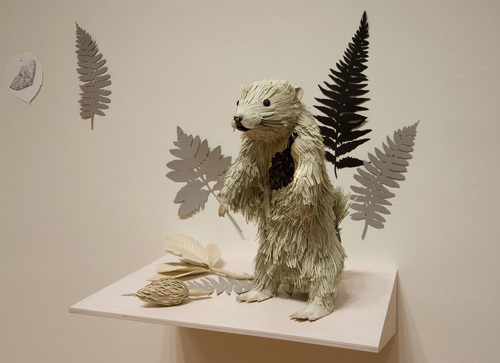 She creates visually pleasing installations inspired by her collection of natural objects and materials and taxidermy animals using a variety of materials including cut paper combining it with painting, book arts, drawing and light. 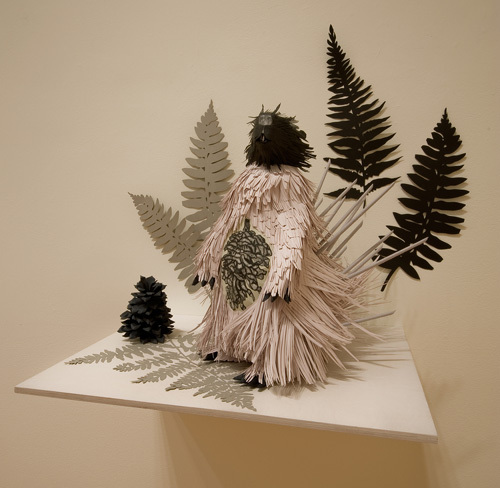 Her solo exhibition entitled “Forest Floor” featuring paper wax animals was mounted at Stevenson University. 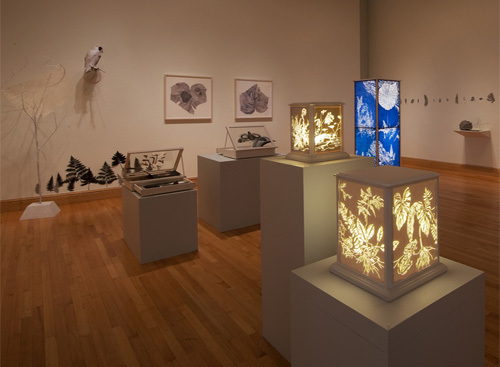 The animal sculptures were made combining trace monoprints on mulberry paper with the cut paper and wax, and light boxes were installed to create a nocturnal feel. Garmey is presently teaching at The Maryland Institute College of Art since 1999 in the General Fine Arts and Drawing Departments. 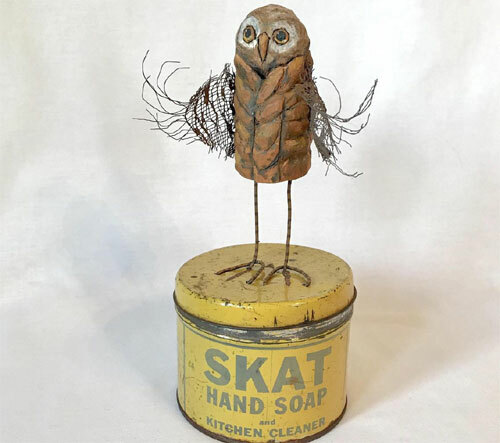 Visit her website to view more of her work in the past. These beautiful hand-built pottery is by the Aboriginal Arrernte people of Central Australia at Hermannsburg, west of Alice Springs on the Finke River. 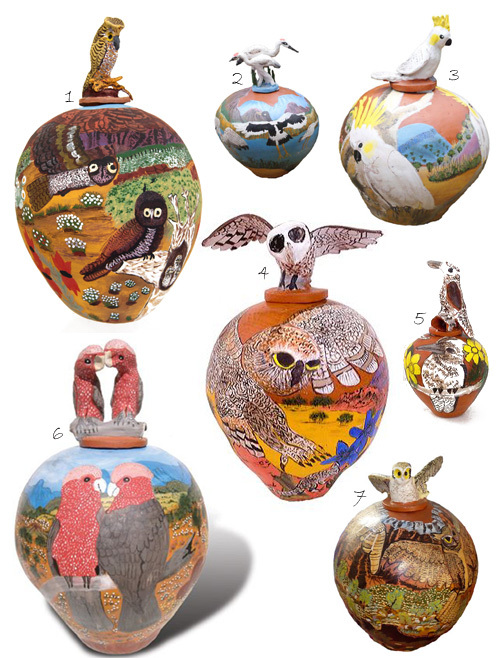 The Hermannsburg Potters is a unique and significant art center that is internationally known for their unique collection of lidded pots made using the traditional hand-coil technique and decorated with owls, birds, animals and landscapes in bright colors. "The strong history of Hermannsburg visual culture and story-telling, the Hermannsburg Potters have developed a highly original and distinctive ceramic art practice, which, through savvy marketing and innovation, has become internationally renowned". You can learn about the artists and read about the history of Hermannsburg here. 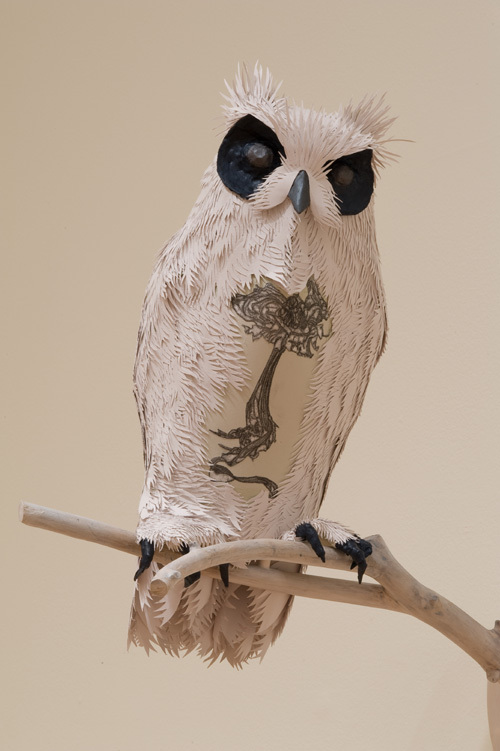 The "Owl Babies" is a children's book by Martin Waddell which was the inspiration for Rachel in creating this craft for her boys. It's a simple and an easy activity that kids will enjoy making on an afternoon. 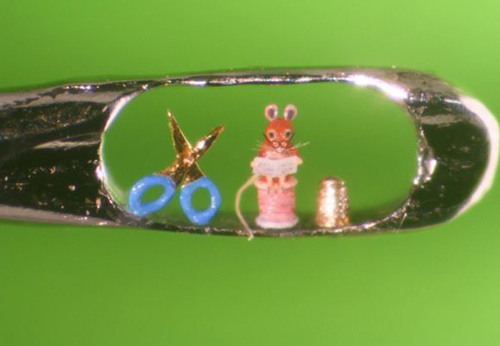 The best part about this craft is that you don't need too many things, just a few simple things that you'll find on your craft's shelf. 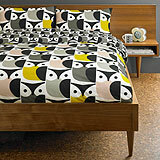 I adore the shapes of the owls created using a pom-pom. 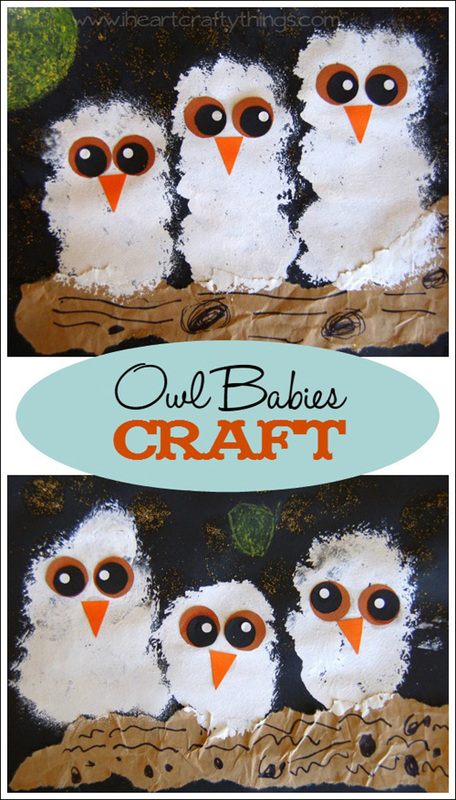 You can make owls in all kinds of shapes and sizes, small to decorate a handmade card and multiple big ones for a wall art! 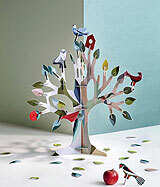 To find out all the materials that you'll need for the craft and detailed instructions go here.